I’ve never liked reading apologies from bloggers who are “sorry for not blogging much lately”. Sometimes there’s just nothing to say. I do have a long list of stuff to do, and an always-full mailbox with customer questions and support requests. The customer requests always come first, before all of the facebook, twitter, blog, and newsletter stuff. I’m really excited about the coming updates for Airport Madness: World Edition. I’m designing levels as fast as I can, and our artist is working long hours to get the job done. 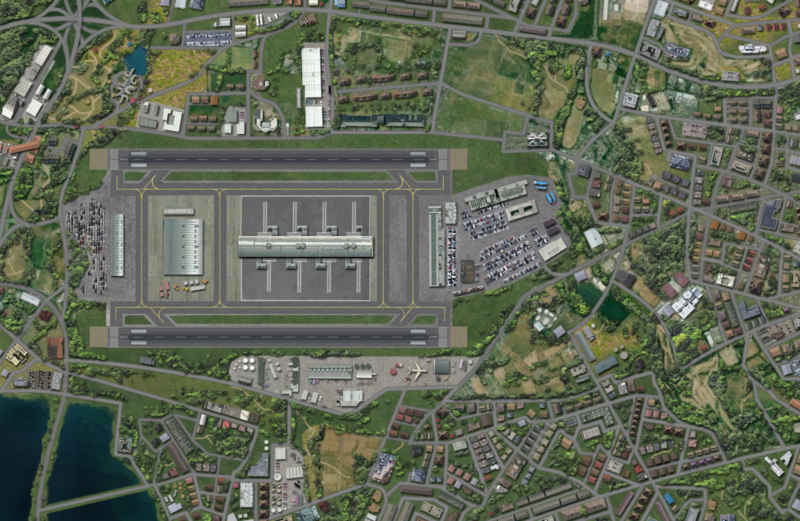 Below is a screenshot of our next update, which adds London, Heathrow. This is a free update, and will be available March 2. Looking ahead, we have some really cool levels to add. In May, we add Dubai. In July, Amsterdam Schiphol. And in September, Barcelona, Spain! We will likely be adding these same airports to Radar Chaos: World Edition in similar bi-monthly fashion. Should be a busy year for us. I’m extremely excited about Airport Madness: Tower Edition, our first 3D perspective game, due in October 2015! Look for details here. I promise to get a screenshot up next month. This entry was posted in Uncategorized on February 22, 2015 by admin.